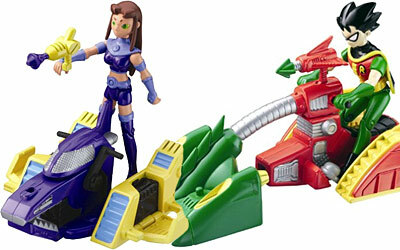 The Ti-Trans Teen Titans Mini-Machines come with a 3.5 inch action figure. Also includes accessories. Blendride with Cyborg, Landmower with Beast Boy, StarFire with ThunderBull, Vac-Cycle with Robin, and X-Cycle with Raven.